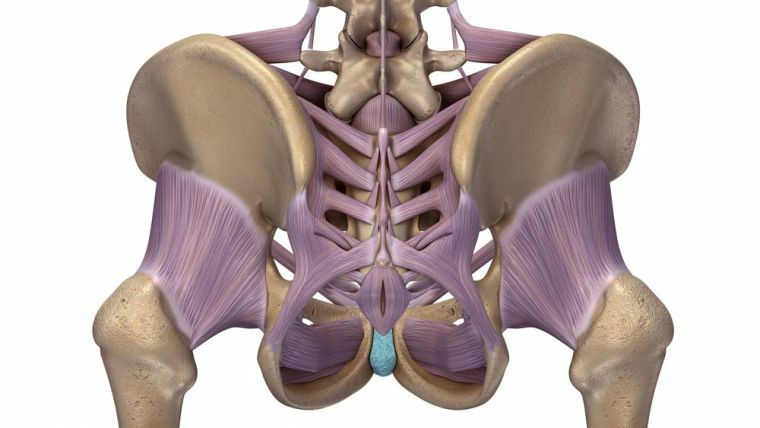 Today I'd like to offer five insights about the SI joint (or sacroiliac joint) that we don't tend to learn about in yoga teacher training, but which definitely have implications for how we teach and practice yoga. Also included are multiple scientific references for each point. I invite you to read these points with an open mind and a willingness to possibly question your own biases (because I know I have had to question my own many times as I continue to study and learn about the body!). Although the SI joints are some of the strongest joints in the body, we often receive the impression from our yoga teacher training that they are actually quite fragile structures that are vulnerable to injury and instability from the slightest misalignments in yoga. 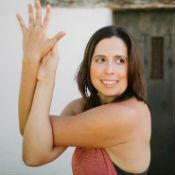 For example, we are sometimes taught that if we hold our pelvis “square” when we twist in poses like twisting triangle (parivrtta trikonasana), we can “tweak” our SI joints by pulling them out of alignment, and that we should therefore instead always be mindful to let our pelvis turn slightly in the direction we are twisting in these poses. Another example is that we are often instructed in backbends like bridge pose (setu bandha sarvangasana) and locust pose (salabhasana) to relax our glutes (or to at least soften them somewhat) because contracting them too much could injure our SI joints. When we see the bones by themselves like this, we can certainly get the impression that the sacrum can “slide around” easily relative to the pelvis, resulting in an SI joint that can be pulled “out of place” or “strained” due to small misalignments in yoga poses. The ligaments that support the SI joint include the anterior sacroiliac ligament, interosseous sacroiliac ligament, sacrotuberous ligament, posterior sacroiliac ligament, and sacrospinous ligament. 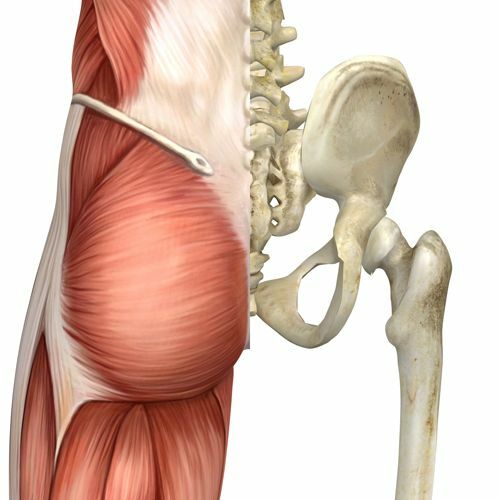 If after seeing an image of the SI joint's ligamentous support, we were then shown an image like this one below, which depicts all of the thick musculature and fascia on top of all of those ligaments on top of the SI joints (including the powerful gluteus maximus, the largest muscle in the human body), we might have reason to be more confident and less fearful about this naturally strong, sturdy area of our body. 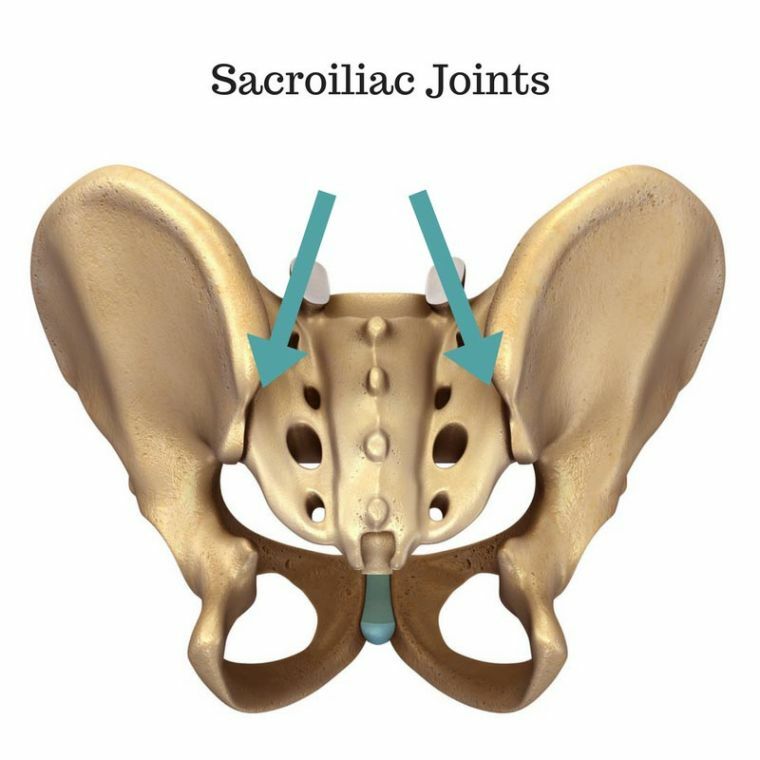 Sacroiliac joint movement is so minute and difficult to identify with either manual palpation or radiographic imaging that none of the tests traditionally done to assess the SI joint have been shown to be a reliable way to detect joint movement. Without an accurate method for testing the position and movement of an SI joint, how can we definitively know that someone's SI joint is “out of place,” “misaligned,” or “unstable” in the first place? As an example, if someone has SI joint pain and they have experienced a recent blunt force trauma to their pelvis region (think from a car accident or a major fall of some sort), then their pain is very likely due to an actual SI joint injury. Once this injury has healed, this pain should subside. In fact, my husband and I suspect that his SI joint may have been injured many years ago in yoga by a strong adjustment he received. His yoga teacher forcefully pulled both of his legs behind his head in a pose called dwipada sirsasana and he felt a searing pain at his left SI joint in that moment. Thankfully the injury healed, but this type of forceful, deep adjustment seems like it was enough to cause injury to his SI joint (or at least a strong, protective output of pain in the area). But in contrast to those examples of short-term pain associated with acute injury, when someone's SI joint pain is more long-term or chronic in nature (chronic pain is sometimes defined as pain lasting longer than three months), it's less likely that this pain is connected to a specific injury or damage to the area and more likely that the person's nervous system is instead sensitive around that spot. As we have seen, the SI joints are held stable by a ligamentous and musculature support structure that is strong and resilient—and the joints themselves have only a tiny amount of movement available (if any) in the first place. With this in mind, holding our pelvis square when we twist in yoga is probably not a likely mechanism for SI joint injury, given the relatively low loads involved in the pose. 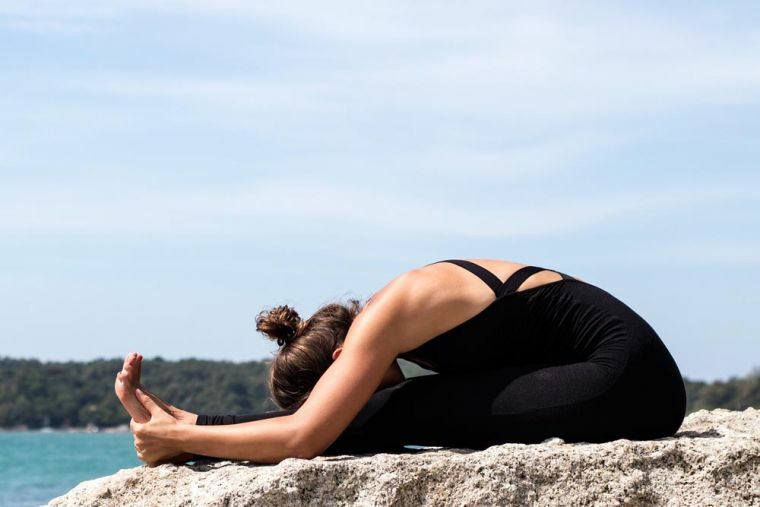 Additionally, it's common these days to hear warnings about “overstretching” the ligaments of the SI joints in yoga poses, leading to SI joint instability and pain. (I myself used to offer such cautions too—the idea just seems to make sense!) We are learning, however, that this is not actually how ligaments respond to stretching. During a stretch, a ligament lengthens temporarily, but then it returns to its resting length afterward (sometimes after a short recovery period). Despite popular warnings, passive stretching has not been shown to lengthen and destabilize ligaments and joints. I have personally changed my perspective on this issue due to insights from newer research and teachings from my yoga biomechanics mentor, Jules Mitchell. In summary, SI joint pain is common among yogis and non-yogis alike and there are many factors that can contribute to it, including physical, psychological, and social ones. However, how we align our body in yoga is probably not a mechanism for SI joint injury (strong, forceful adjustments by yoga teachers excepted!). Rather than worrying too much about alignment for SI joint protection, a more effective means of injury prevention is to simply strengthen and condition the muscles and connective tissue that support the SI joint to increase their capacity to handle loads. Photography: Lerina Winter, Winter Creative Co. Thank you for reading these five points with an open mind, and I hope to see you on the mat virtually or in person in the near future!